Re-configuration of Areas – ΑΤΤΙΚΟ ΜΕΤΡΟ Α.Ε. mplemented by the Ministry of Infrastructures, Transport and Networks and ATTIKO METRO S.A.
Another significant but less known parameter for ATTIKO METRO S.A. is the program related to the reconfiguration of areas carried out by theMinistry of Infrastructures, Transport and Networks and ATTIKO METRO S.A. immediately after the completion of construction works. This program was mainly related to areas in the Municipality of Athens, but given the Metro further extension many Municipalities located along the length of the Metro network have been integrated to the said program. With these interventions made by the Ministry of Infrastructures, Transport and Networks and ATTIKO METRO S.A. the wider area of each Metro station is significantly upgraded in terms of aesthetics; these interventions-when combined with the program related to the display of the archaeological finds in appropriately configured outdoor areas- further upgrade the image of the city and the daily life of the citizens. 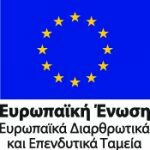 A respective program will be also implemented for the Thessaloniki Metro. 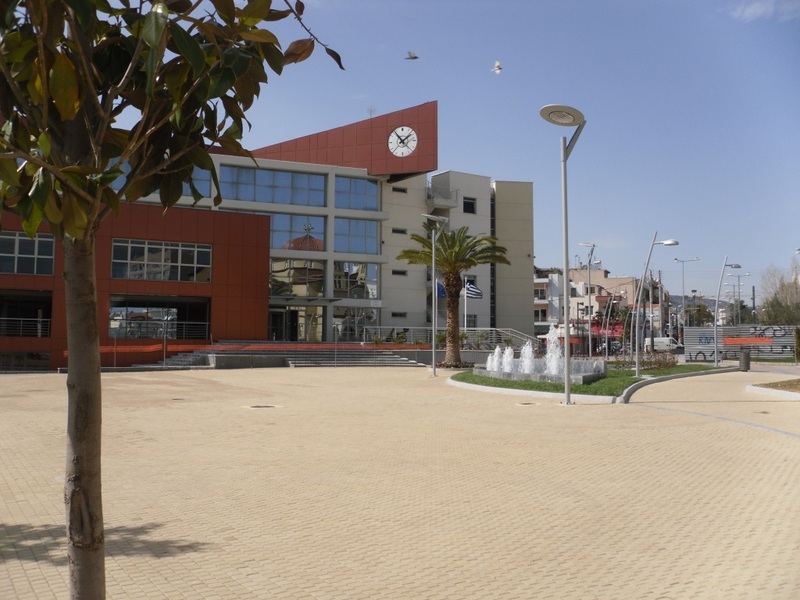 On the occasion of the construction of PERISTERI Station, the unification of two smaller squares, existing on either side of Panagi Tsaldari Avenue, into one large square has been completed. The newly-developed square integrates Evangelistria Church, the diocese of the Municipality of Peristeri, as well as the Town Hall. Over a total surface of approximately 12,000m2, the largest part of which has been utilized for the construction of the new Metro station, modern architectural works have been constructed, for the citizens of Peristeri to enjoy their promenade. These works include 3,500m2 of green spaces; a fountain in the middle of the square; a modern structure and lighting fixtures illuminating and revealing the city’s War Memorial, a 14m-diameter large glass vault dominating in a central area and giving abundant natural lighting to the two levels of the station, matching with the Church’s curved lines; passageways and paved sections extending into a large area for people to enjoy their promenade and for children to play. The abundant lighting of the square is achieved through elegant, especially designed lighting fixtures. A particular reference must be made to the work of art entitled “Synantissi – (Meeting Point)”. It is a beautiful group of sculptures embellishing the square and the central entrance of the Metro Station made by the well-known Greek sculptor Evangelos Moustakas to remind people that this is a meeting point. The work of art in question was funded by ATTIKO METRO S.A. Finally, it should be noted that Dimokratias Square is located in the central densely populated area of Peristeri, right next to the commercial centre of the Municipality. This area has been handed over to the public in Christmas 2010. The square located above KERAMIKOS Metro Station is probably the most popular with young people since it has already been designated as the “meeting “point prior to any night “visit” to the adjacent restaurants and bars of the area. A small “oasis” in the center of the capital took the place of the metro worksite where cranes and excavators used to work. One of the most important technical works implemented in ancient times, the embedded bed on Iridanos ancient river together with other antiquities have been exhibited at the first underground level of MONASTIRAKI Station, at the location where they were encountered. A 24m long glass pedestrian bridge, where passengers can admire Iridanos river bed whose water can still be heard to flow, crosses the said archaeological site which covers a area of 300 square meters! Very soon thousands of Greeks and foreigners who visit Monastiraki square will be able to admire Iridanos river bed through an appropriately configured glass frame, located at a small distance away from Pantanassa church. A curve-shaped metal pillar, 50m high, at the eastern side of Messogion Avenue, where the entrance/exit of KATEHAKI Station is located. An overhead “passage way”, 94m total long and 4-6m. wide. The access is possible through staircases and escalators as well as through lifts. Metal “cords-cables” which start from the metal pillar and hold the “passage way”. Calatrava pedestrian bridge has been constructed over Messogion Avenue in view of providing optimum operation and access to KATEHAKI Metro Station. Its construction contributes significantly to the upgrading in terms of aesthetics of the city, since such an internationally recognised work will grace the main entrance to the city of Athens from Eleftherios Venizelos International Airport. Moreover, ATTIKO METRO S.A. utilizing a privately owned area at the intersection of Papagou and Vouliagmenis Avenue (Municipality of Aghios Dimitrios), where a ventilation Shaft of Line 2 has been constructed, has created infrastructure for sport facilities used on a daily basis by people who live in the wider area. A small square, already existing in the area and utilized by ATTIKO METRO A.E. for the Project needs, with a surface of approximately 300m2, a “touch of green” at the intersection of P. Tsaldari and Em. Veaki streets, has been re-developed. Green surface areas prevail, while modern infrastructures for lighting, watering etc. along with beautifully paved areas have been constructed. At the intersection of P. Tsaldari and Ravine streets, the area that has been utilized as a worksite for the Project needs was reinstated in co-operation with the Municipality of Peristeri. The outcome of this co-operation was the creation of a beautiful square embellishing the Municipality of Peristeri, with a total surface of approximately 1500m2, many green spaces, a fountain and a modern children’s playground. The work of art entitled “Isorropistis – (Balancer)” was placed in the middle of the square, a sculpture made by the famous Greek sculptor Evangelos Moustakas, funded by an Association of the Municipality of Peristeri. The square was handed over to the public in May 2009. This square is located among Anapafseos, Ag. Kirykou and Ag. Ierotheou streets, opposite to Ag. Ierotheos football field. Upon completion of works in the area, the pre-existing square was re-developed by ATTIKO METRO S.A., as scheduled. This is a square with a total surface of approximately 2100m2 with green spaces covering the square’s major part. The square utilized as a worksite for the construction of the tunnel connecting AGIOS ANTONIOS Station with the new PERISTERI Station is under redevelopment on the basis of a new planning revitalizing the area combining the freshness of the green with the scepticism of the Artist. This is the sculpture entitled “Peristeri – (Dove)”, which has been created by the famous Greek sculptor Kostas Varotsos, and is placed in the middle of the square that is under completion. This work of art was funded by ATTIKO METRO S.A. The square is located in the area that accommodated in the past the public baths of the city, i.e. among P. Tsaldari, K. Varnali and 25th Martiou streets. Its total area is approximately 1800m2 while green areas cover a surface of 600m2. The square integrates an especially designed fountain, semi-circular benches and a lighting system designed in such a way so as to provide adequate lighting to the square and, thus, display in the best possible manner the aforementioned sculpture.